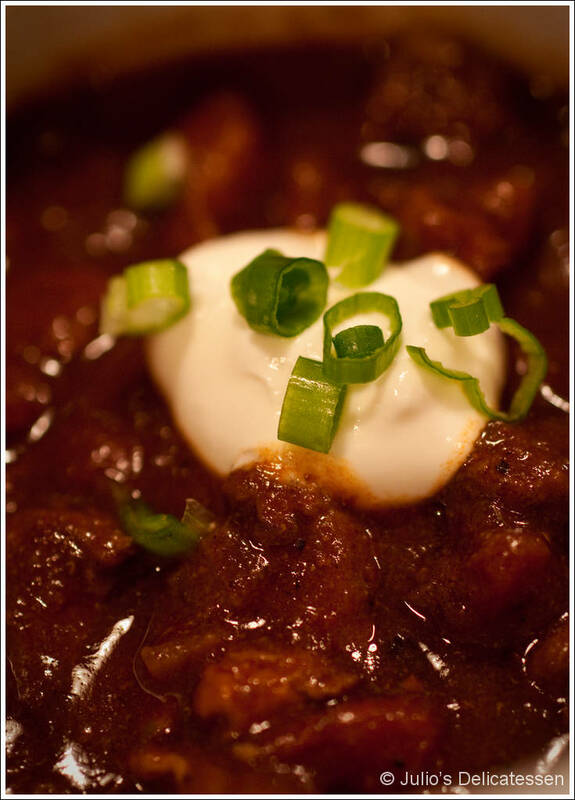 This is a pretty classic chili recipe – no beans, no noodles, etc – just well-seasoned, slow-cooked pork and beef. You could easily add cooked (or canned) beans along with the masa harina in the last few minutes of simmering. 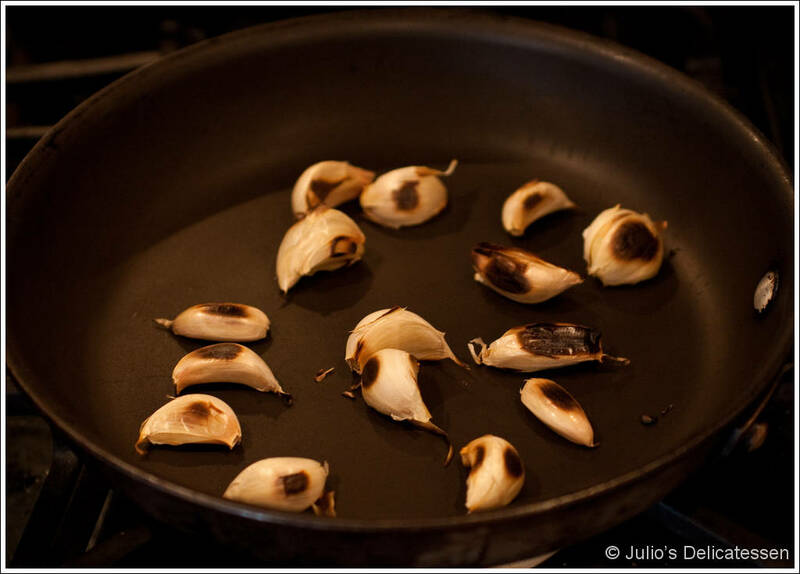 Prepare the seasoning base – begin by roasting the unpeeled cloves of garlic in a dry skillet over medium heat. Roast for about 15 minutes, turning occasionally. Cool, then remove skins and chop. 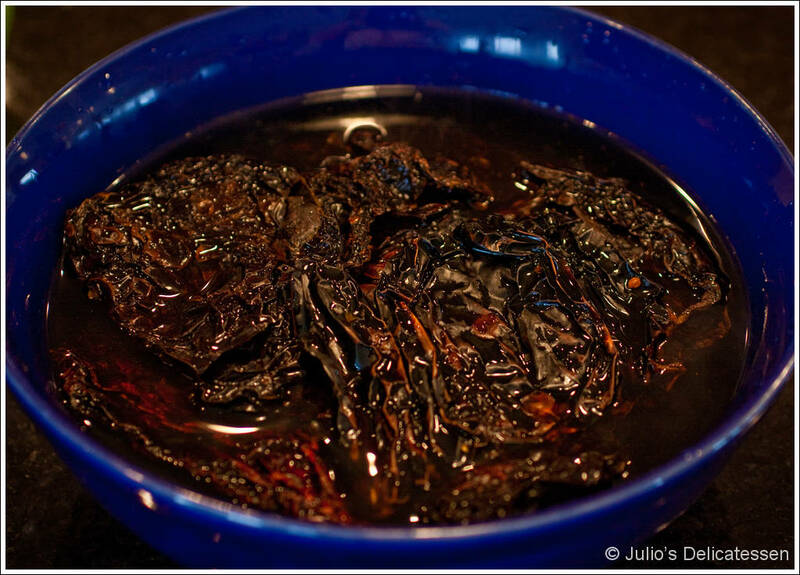 Remove the stems and seeds from the chiles. 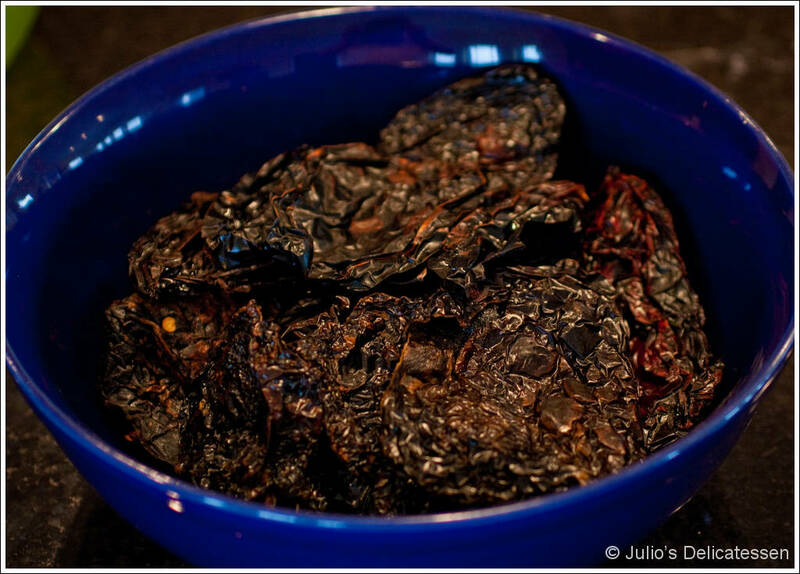 Toast the chiles in a dry skillet for a few seconds on each side, then place in a large bowl. 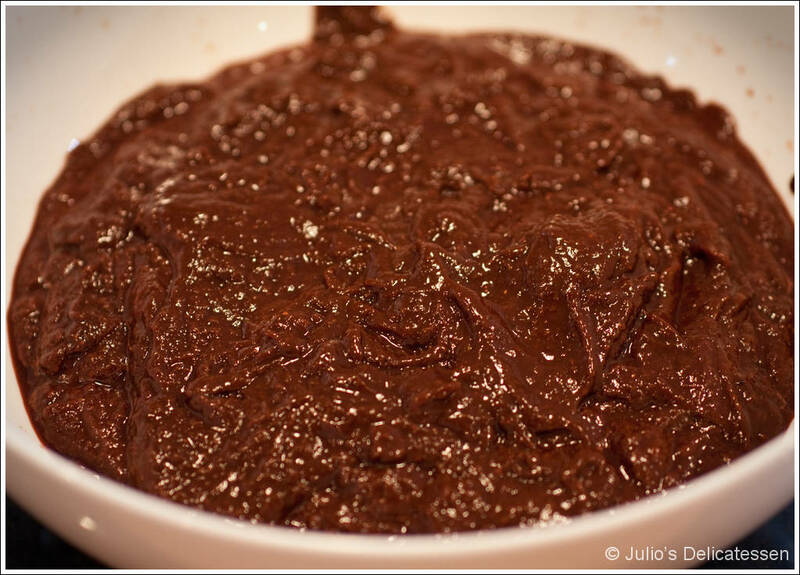 Cover with hot water and allow to steep for 30 minutes. 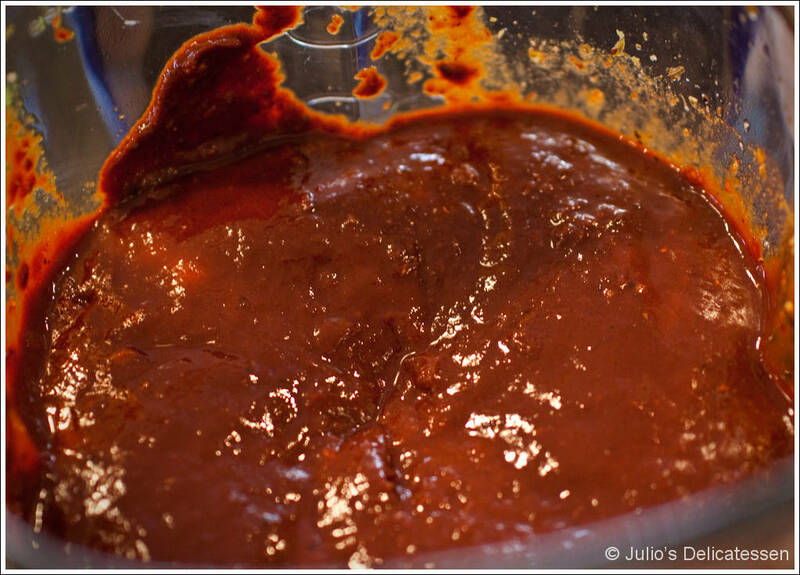 Remove the chiles from the water and transfer to a blender jar along with the garlic, spices, and broth. 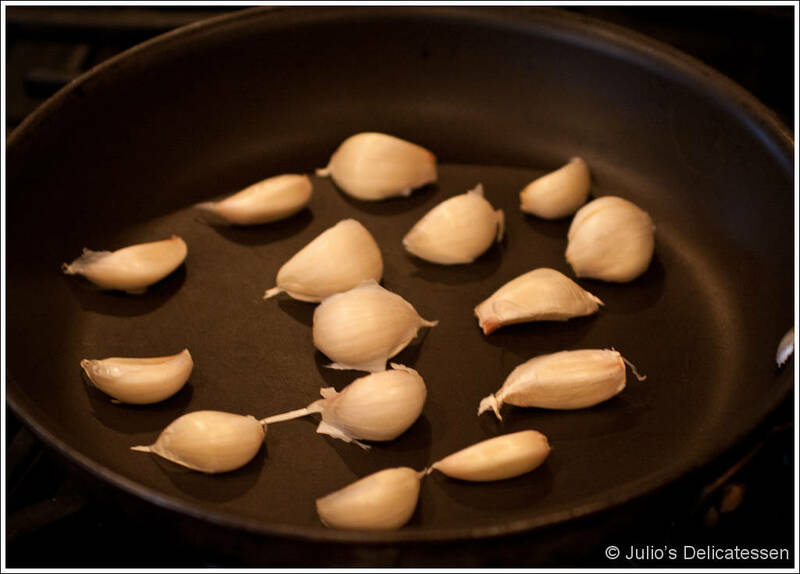 When the puree is as smooth as you can get it, press through a mesh strainer into a bowl, leaving any stray seeds and skins behind. 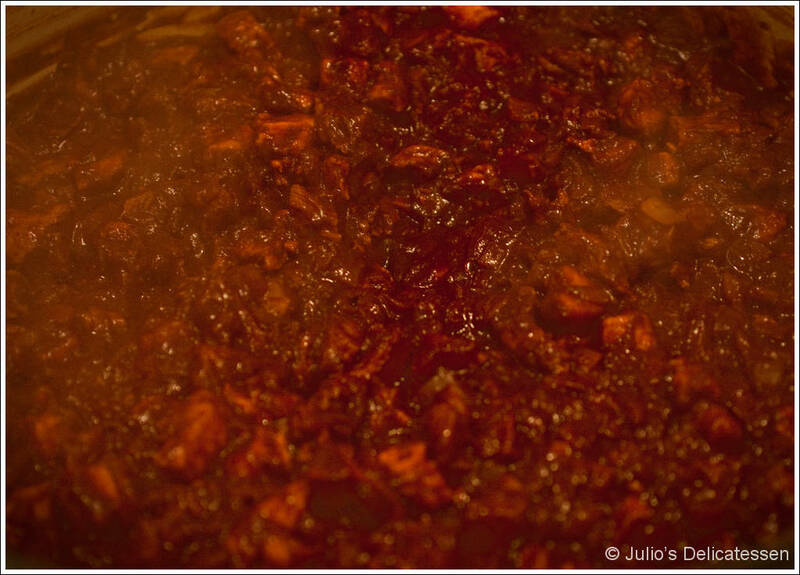 Prepare the chili – in a large dutch oven, add some oil or (better) bacon grease. 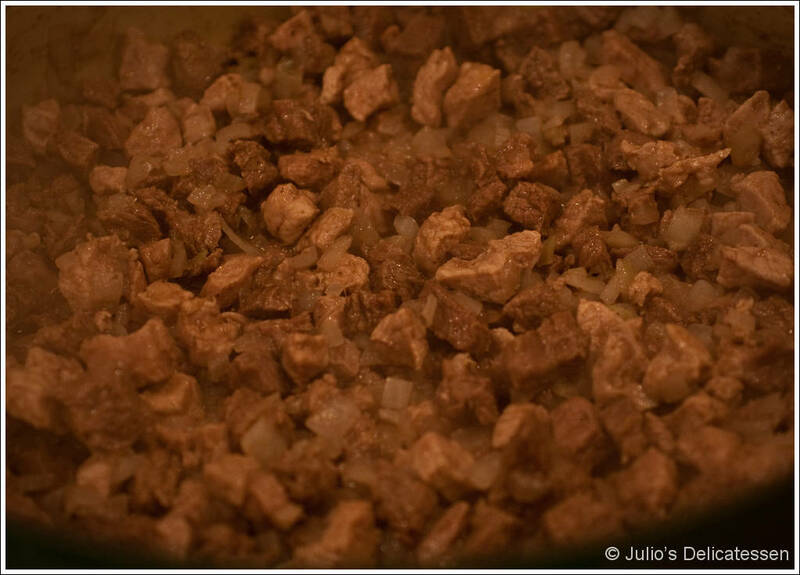 Fry the meat and onions over medium-high heat until well browned. 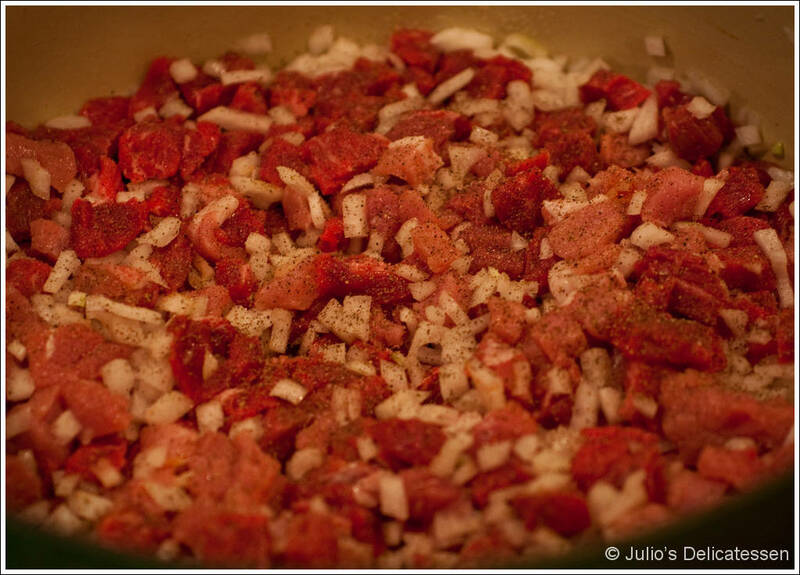 Add the seasoning base and cook for about 6 minutes. 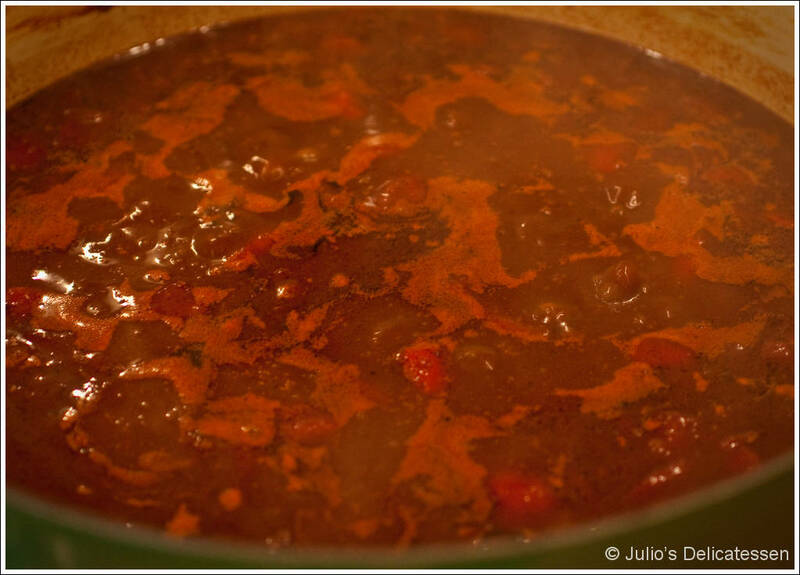 Add the tomatoes and enough beef broth for everything to float freely. Season with salt and sugar to taste and simmer for an hour or so. 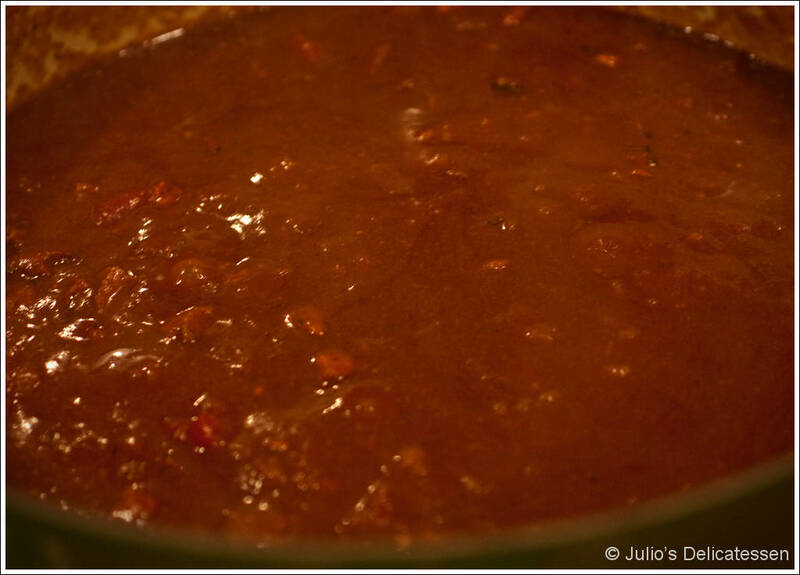 To thicken, whisk some masa harina with water, then stir into the chili during the last few minutes of simmering.